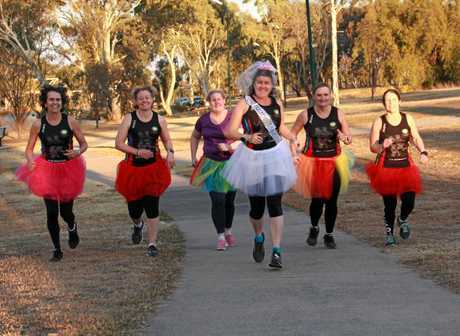 JOGGERS, tutus and sweatbands might seem an odd combination for a bride-to-be, but Warwick's Tara Berhmann is literally sprinting towards her wedding day. With only a few weeks until she ties the knot with her sweetheart of 10 years, MsBehrmann has no need for lingerie and wedding garters. Instead, she is pulling out her activewear and joggers for a hen's party like no other. 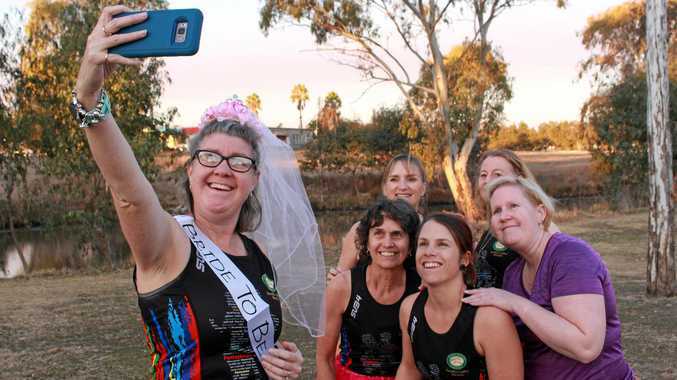 To some, running 10km around Brisbane's CBD may sound more like punishment than celebration, but for Ms Behrmann it's an idea that was hatched before she even got engaged. Frolicking in the activewear section of H&M on day before her first ever Bridge to Brisbane in 2015, MsBehrmann made a pledge to her all-girl running troupe. 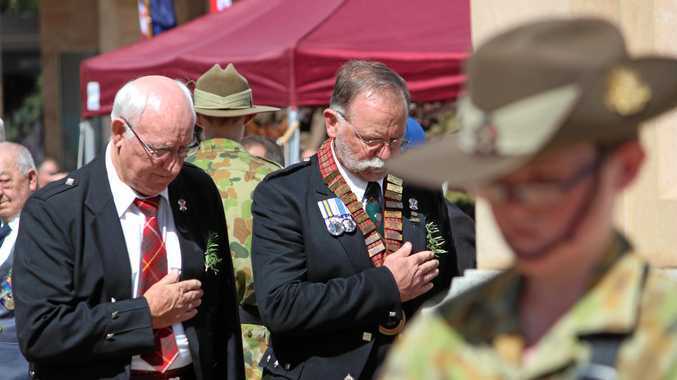 "We were just playing around with the displays and being silly and then I said if I ever got married I would run the Bridge to Brisbane,” she said. So when her fiance Kent Wakefield proposed in December, there was no question how she would spend her hen's weekend. 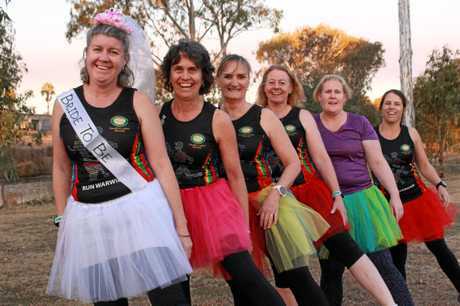 With 10 tutu-clad "sweat sisters” in tow, Ms Behrmann will jog her way around Brisbane on August 26 with over 23,000 other runners. "It's a hen's weekend with a difference ... It suits my personality and it's what I love doing and how I enjoy spending time with my friends,” she said. In fact, Ms Behrman and fellow Warwick Parkrun co-coordinator Linda Coombes have already become poster girls for the 2018 event with their faces splashed all over the Bridge to Brisbane advertisement. And the running doesn't stop there for Ms Behrmann. A true devotee, she plans to do Parkrun on the morning of her wedding to high school sweetheart Kent Wakefield. Having grown up together in Warwick, the adorable pair have been together for 10 happy years and can't wait to get hitched at the Warwick Golf Club on September 29. With four-year-old daughter Alyssa as her flower girl and stepdaughter Courtney as her bridesmaid, it's going to be a day to remember.